M1: [Cox] Chris Connor, [Bow] Rutger Grisel,  Conor Burgess,  Alge Wallis,  Paddy Buchanan,  Joel Wilson,  Lachlan Jardine,  Elliot Carter, [Stroke] Will Miller, [Coach] Chris Smith, [Boat] Adrian Cadbury. 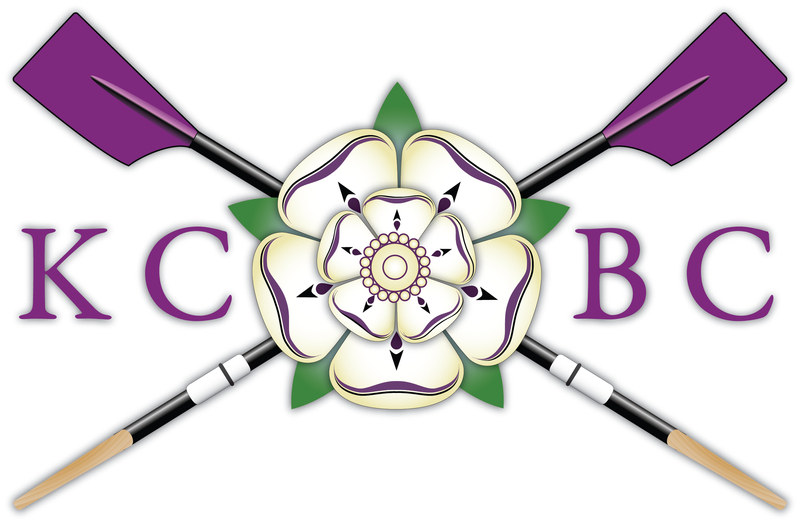 W1: [Cox] Anne Boulton, [Bow] Naomi Fenwick,  Liz Dzeng,  Felicity Eperon,  Vera Konieczny,  Sarah Hadman-Back,  Jess Robertson,  Matilda Greig, [Stroke] Alex Hayes, [Coach] Roger Thorogood, Chris Smith and Andy Clark, [Boat] Jolly Roger. M2: [Cox] Becca Stonehouse, [Bow] Ryan Davey,  Tim Martin,  Bastian Widenmayer,  Raphael Scheps,  Reuben Shiels,  Nick Rabey,  Andre Thunot, [Stroke] Kert Putsepp, [Coach] Chris Braithwaite, [Boat] Vicky Wade. W2: [Cox] Colette Bane, [Bow] Anna Bachman,  Lucy King,  Pearl Mahaga,  Alyssa Bandow,  Beth Wratislaw,  Ellie Re’em,  Emma Notfors, [Stroke] Marijne Mak, [Coach] Brioni Aston and John Aspden, [Boat] The Shark. M3: [Cox] Toby Weatherall, [Bow] Chris Perry,  Neil Paul,  Josh Keeler,  Tim Couper,  Ildar Gaisin,  Andriy Gordiychuk,  Chris Lynch, [Stroke] Adam Bristow, [Boat] The Lady Jo’anna. M3 delivered on their promise to bump Pembroke IV, earning them their blades. W2 got a technical bump on Darwin W2, who were too slow to be able to safely compete, ending the week with a result of up two. M2 performed the rare feat of actually bumping back up. This time round, the race against Caius III was over in the gut, which is fairly decisive considering that the second station is not far from first post corner. The bump gave M2 such a confidence boost that their egos were found blocking the river, causing a stoppage for the entire division behind them. Not deterred by this, they rowed at the foot of the third division and bumped Churchill II to finish the week off level. W1 bumped Churchill down the gut with the massive support from our marquee on first post corner spurring the girls on. For our gun we had a break in the wind (which was very strong and gusty all day) and could actually put in a fast clean start which let us gain on Churchill straight away, no holding back we powered all the way to the bump. Murray Edwards, behind, stayed on station and didn’t gain at all. So, we were sandwich boat. They were running very behind due to protests that had gone on so we didn’t have much break as they were getting divisions to go as soon as they could. We were behind Peterhouse AGAIN! 4th day in a row. We predicted we’d have the whole course to get them again because Selwyn would get Magdalene in front. Which we did, Selwyn got Magdalene down first post reach where we were also getting whistles. We managed 3 whistles again near the marquee on first post corner but again couldn’t close in that 3 feet. Ending up first in Div 2 and sandwich boat next year, the luck of bumps was not with us this year resulting in 4 row overs and 1 bump. M1 was out to give Magdalene their spoons, and at the same time bump up to the highest place graced by a King’s vessel since the 1960s. The conditions were pretty grim, with gusts of 40-50mph, but we had bumped Trinity Hall in poor conditions the previous day and knew we could hold our own. As usual, we didn’t really start gaining until about halfway up first post reach, and the very strong headwind in the gut certainly favoured the heavier Magdalene crew. However, the gut is short, and our lift out of grassy corner more than made up for the setback. Coming around Ditton, we hit Magdalene so hard that we took the Adrian Cadbury’s bowball off. This places us 13th on the river, and there’s no reason not to break through that next year. M3 had a slow boat ahead with an even slower boat ahead of that. This provided a rather odd challenge, but the crew held its own and they managed to bump Robinson III, giving them a shot at a slow-as-molasses vessel in front for blades. Fingers crossed. W2 were chasing Peterhouse, who got a technical bump off the start, and the four crews ahead of that also bumped out quickly leaving King’s with only the headship crew to chase. They pulled a few lengths away from the rest of the division by the reach, and started closing in on the triple overbump. They crossed the line just over two lengths behind Homerton W2, after starting 16.5 lengths behind them; a fantastic row which all of W2 should be extremely proud of. M2 had a tough battle with Caius III, finally having to concede halfway up the Long Reach. The crew is proud of the result, however, and will be looking to take back Caius III, which will give them a shot at Churchill II to come out level overall. W1 rowed over behind Peterhouse again, horrible wind causing steering for all coxes to be a problem and rowing sat to be difficult. 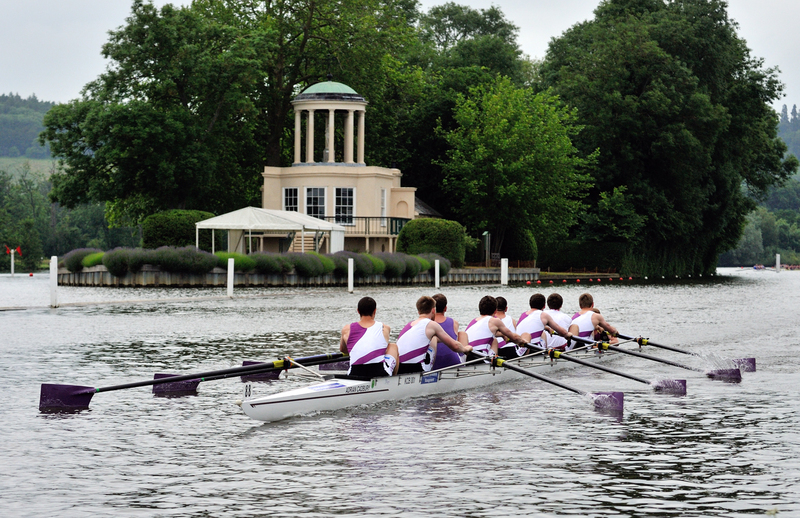 Peterhouse got Churchill in the first div so we now have a pink boat in front. Today’s going to be tough as we have a Murray Edwards I boat behind us who are on for blades and Churchill in front who are on for spoons. M1 had another day with Churchill behind, but today the boat ahead was one that was ready for the taking. Churchill made a desperate effort to outrun Girton, gaining about three quarters of a length, but were then taken off us, and the hunt for Trinity Hall was the only thing we had to worry about. We held together far better than any row before, which was a good thing too, given the very windy conditions. The overlap whistle came halfway through Grassy Corner, but Trinity Hall pulled away a bit in their lift out. This was short-lived, however, and after bow’s blade hit Trinity Hall’s stern about three times, they finally conceded in front of the Plough. Magdalene tomorrow, then Bumps Dinner! Numbers people will be pleased to hear that we wound to 44, and were still holding 36/37 in the headwind and the wash by the time we hit them. M3 had an extremely short row, hitting Sidney Sussex III hard right after the motorway bridge. managed to bump before grassy with seven rowers as three broke her seat in the confusion, in a bump which nearly held up the rest of the division. M2 rowed over solidly in the fourth division, giving them another shot at Queens’. However, the wear and tear of one row over meant that the best they could do was hold station, leading to a second row over for the day. Same again tomorrow! W1 had a very similar row to yesterday. We got closer to the bump but rhythm messed up with a few crabbing issues down the wavey reach (it was a tad windy) which put us off our rhythm and we never really got it back. Tomorrow we aim to close that extra bit again, keep our focus and get them as they didn’t bump into Div 1. So we’re doing it all over again, again! M1 was unlikely to catch Christ’s before they bumped out, so fairly early on we knew that there was a row over on the cards for us. Churchill came at us hell-for-leather, but didn’t manage to earn themselves more than one whistle, after which they broke and were pushed well away in an extremely solid row over. For the numbers people: our rate was 44 out of the wind, 40 up to the Plough, with a settle onto 38 on the Reach. We were told to wind down near the finish, but our refusal to drop the rate led to us not falling any further than 34, the rate at which we crossed the finish line. M3 (or MBeer, as they prefer to be known) bumped Caius IV by first post corner, and are looking for an even speedier bump tomorrow. W2 gained some ground on Peterhouse W2, however Peterhouse bumped out by first post corner. King’s pulled a few lengths away from all chasing crews and got to around 3 lengths away from the overbump on Fitzwilliam W2 on the reach, but ended with a solid row over. M2 went well off the start, losing Queens’ quickly. They gained on Emma, coming to within half a length, but had some difficulty in the wash. Unfortunately, this was enough to allow Queens’ to close back in, leaving M2 down one for the first day. A row over at the head of division 4 will be a good start to day 2, and hopefully they’ll get their own back at Queens’. W1 had a good solid performance today. A strong start pushing off the boats behind and gaining on Peterhouse W1 in front. Unfortunately Peterhouse managed to hold us off the bump, getting to a quarter of a length at one point but not managing to push on down the reach after the corners to close that extra bit. 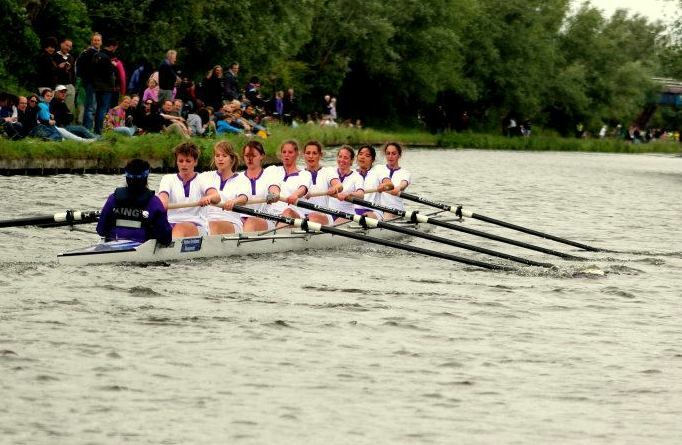 We easily pushed off Pembroke W2 behind us who nearly got bumped by Sidney W1 but in the end all 4 of us rowed over. A bit of carnage at the bottom of div 1 with Churchill crashing means that Peterhouse are still in front of us tomorrow – We’re ready to take them on again! Currently 2nd in Division 2. M1 went off assuming that the crew behind would be chasing us up quickly, as they were quickest to bump us in the Lent Bumps (doing so halfway up first post reach). The crew ahead was one we could catch, so we thought we’d find ourselves in a win-or-lose scenario, without the possibility of a row over. Instead, after a start that gained them half a length, we were pushing Robinson away from us to where we didn’t have to worry about them, and we were eating up Churchill just as we thought we would be. Grinding them down took long enough, showing our inexperience in rowing in the wash of another crew (we didn’t get to practise this in the Lent Bumps! ), but we did eventually hit them coming out of Ditton Corner, giving every single one of us our first Men’s First Division bump. For those who like numbers: the rate was close to 40 for most of the race, tapering down to around 37 when we hit Churchill. We are now 15th in Division 1.